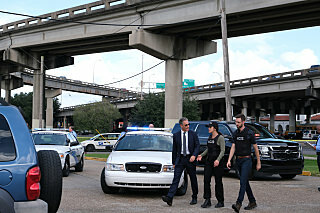 NCIS: New Orleans 5.09 - "Risk Assessment"
had this story already at the original NCIS and in one or two other shows as well. looks like it is not as rare as we think. Thanks for the thread. Interesting they are doing this storyline as well. There were a lot of team scenes and the story was different to the others I had already seen. liked lasalle telling sebastian (after he saved the laptop): "brave. stupid....but very brave." glad jimmy decided to stay. but I have to complain at least once: they did it again. 4 federal agents and the suspects were able to escape. 1. to me it felt like it too, that's what I meant with "a lot of team scenes" Unfortunately they didn't continue with that. 2. Interesting thing, indeed. But I hope they don't get more than friends, at least not this season, because I think tammy and sonia were very close and I think something like that should take some time and it shouldn'tbe rushed.